Home » Mesothelioma Explained Blogs and News » How Will the Alan Reinstein Ban Asbestos Now Act of 2018 Impact Workers Facing Toxic Exposure? How Will the Alan Reinstein Ban Asbestos Now Act of 2018 Impact Workers Facing Toxic Exposure? Asbestos is a group of naturally occurring mineral substance that is highly toxic. Asbestos was once mixed with other materials such as cement, cloth, and plastic during construction to make materials stronger. Officially, The U.S. government recognizes six types of Asbestos including Chrysotile (white asbestos), which is the most common and can be found in roofs, ceilings, walls, and floors; Amosite (brown asbestos), which was used for cement and pipe insulation and can be found in ceiling tiles and other thermal insulation products; and Crocidolite, which was also used as an insulator in steam engines and other plastic, cement, and spray on products. There are a number of diseases that are linked to the exposure to asbestos. Those diseases include lung cancer, mesothelioma cancer, ovarian cancer, and laryngeal cancer. Lung cancer was first connected to asbestos in 1942 by the National Cancer Institute. It takes between 15 and 35 years for symptoms of asbestos-related lung cancer to develop. About four percent of all lung cancer cases in the United States are linked to asbestos. The first connection made between asbestos and Mesothelioma was made in 1964. It is believed that Mesothelioma is almost exclusively caused by exposure to asbestos. Symptoms, which include coughing, shortness of breath, chest pain, and abdominal pain, normally take between 20 to 50 years to develop. The average lifespan of a patient with this form of cancer is 62 years. Mesothelioma has the second highest diagnosis rate among cancers that are connected to asbestos. A study in 1982 has found a link between Talcum powder and a diagnosis of ovarian cancer. Talcum powders have been known to contain asbestos. Ovarian cancer is the fifth most common cancer among women. The International Agency of Research on Cancer confirmed a connection between asbestos and laryngeal cancer in March of 2009. There is a relationship between asbestos and this form of cancer because asbestos fibers are inhaled and interact with the larynx. Other cancers that have a relationship with exposure to asbestos include Gastrointestinal cancer, Colorectal cancer, Esophageal Cancer, and Kidney cancer. What is the Alan Reinstein Ban Asbestos Now Act of 2018? The Alan Reinstein Ban Asbestos Now Act of 2018 is a bill that will amend the Toxic Substance Control Act to require the Administrator of the Environmental Protection Agency to take action to eliminate human exposure to asbestos. This piece of legislation is an update on the current program that would include more health conditions caused by exposure to various toxins at the job site. What is the Toxic Substance Control Act? The Toxic Substance Control Act (TSCA) was put into law in 1976. The TSCA gave the EPA authority to take specific measures to assess chemical substances admixtures and protect against unreasonable risks to human health and the environment from existing chemicals. There are over 70,000 existing chemicals on the inventory list of the Toxic Substance Control Act. When was this Bill introduced and what stage is it in? The Alan Reinstein Ban Asbestos Now Act of 2018 was introduced on February 27, 2018. Since induction, the bill is still in the first stage of the legislative process. During this stage, the bill is being debated by the committee of Energy and Commerce and will then choose to pass it onto Senate or the House as a whole. Who is Alan Reinstein Ban Asbestos Now Act of 2018 Impacting? The Alan Reinstein Ban Asbestos Now Act of 2018 will affect blue-collar factory workers particularly those working in chemical plants. For example, this bill will make it easier for Hanford nuclear reservation workers to qualify for workers’ compensation. The Hanford Site was established in 1943 as part of the Manhattan Project. The Complex housed the first full-scale plutonium production reactor, creating the radioactive chemical agent for weaponry. Hanford was added to the Environmental Protection Agency’s National Priority list in 1988 and had been involved with ongoing cleaning efforts. The current proposal would cover anyone who worked on the site for at least a single eight-hour shift, including the workers involved in the cleanup. A highlight for those that support the bill is the possibility of contracting Mesothelioma from one brief exposure to asbestos while on the complex grounds. 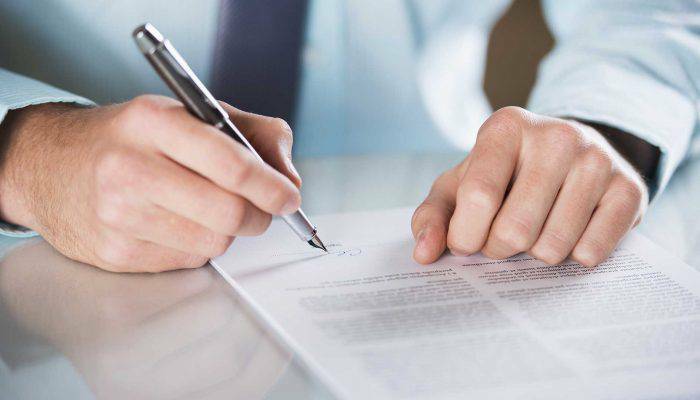 What Might Prevent a Successful Claim? Though a worker only needs to have worked a single eight-hour shift at the Hanford Site, there are still a few factors that can prevent a claim from being accepted. Those factors include a history of smoking, physical fitness, family medical history, and other potential toxic exposures at other job sites/locations. If this update is rejected, workers from the Hanford Site and other workers in a similar situation will face difficulties in receiving workers’ compensation benefits. 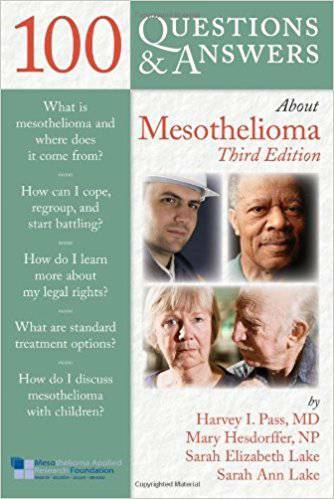 If you need help with claims get in touch with a mesothelioma lawyer. Why Are Chemical Plants So Dangerous? From the 1940s through the 1970s, tens of thousands of American workers stepped foot in a chemical plant at some time or another. During this time-period, asbestos was considered one of the best insulators available. It was used to line high-temperature equipment such as ovens, tanks, pipes, boilers, and pumps. Asbestos was so prevalent in chemical plants, it even lined the employee’s protective gear. Even though doctors began to warn the public about the health risks connected to asbestos as early as the 1930s, owners of the chemical plants continued to use it in almost every facet of their operation. They chose to use asbestos because it was cheaper than the safer material. Through the years, doctors of the companies observed and documented the pulmonary distress workers were experiencing. These employees began to seek financial restitution through a number of lawsuits and asbestos trust claims. Some of the notable chemical plants that were included in lawsuits were Dow, DuPont, Georgia Pacific, and Chevron Phillips. In a recent lawsuit against Dow, the family of a deceased worker was awarded $9 million when they verified the worker died from exposure to asbestos while working for the company.